The same process used to housetrain a puppy can also be used with an older dog that is not housetrained or that develops housetraining issues. If you have an older dog that you thought was previously housetrained but is now having issues, the first thing you should do is make an appointment with your veterinarian. It is highly likely that your dog’s housetraining problem is not behavioral, but medical in nature. 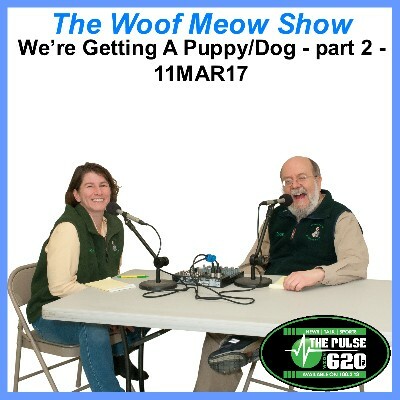 With young puppies, a major factor in housetraining will be the size of their growing bladder and their control over it. A puppy that is under 10 weeks of age may need to go out every hour during the day and possibly once or twice every night. This is not necessarily a matter of training, but one of bladder control. By 12 weeks a puppy should be able to go up to 2 to 3 hours during the day without urinating and can usually make it through the night. When a puppy is 16 to 20 weeks of age, it should only need to go out every 4 to 6 hours during the day. Many adult dogs can eventually go up to 8 hours during the day before they require a potty break. The first step in housetraining your puppy will be to get a crate. We recommend a fiberglass/plastic “airline” type crate. These crates are enclosed on all sides and provide a den-like atmosphere for your dog. 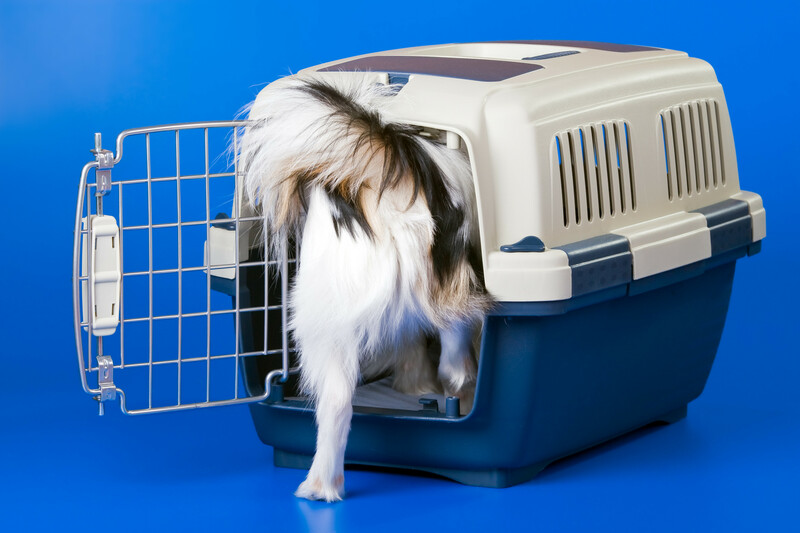 If you prefer a wire crate, drape a cloth over the sides to make it more like a den, but be sure that the puppy cannot pull the cloth into the crate through the wires. You can achieve this by placing a board that extends out on all sides over the top of the crate, and then draping the cloth over the board so that it hangs at least a few inches away from the wires. There are beds specially made for dog crates, but we do not recommend them for young puppies. An old blanket or some towels will do just fine, providing the puppy does not tear and consume them. A couple of good chew toys will occupy a young dog’s time in the crate. While you are housetraining your dog, you should not offer water in the crate, but do make sure it is available at all other times. Generally the crate should be placed in an area that is quiet, but where your dog can still see and hear you. Remember, dogs are social animals and want to be with the rest of the family; they do not like feeling isolated. Putting the crate in your bedroom at night will help to strengthen the bond between you and your dog by allowing him to sleep near you. You may have a couple of sleepless nights initially, but it is worth it in the end. Having the dog near you while you sleep will also aid you in hearing the puppy when he needs to eliminate during the night. It is very important not to abuse the crate. We want the dog to like the crate so it should never be used for punishment. If your dog spends a significant amount of time in a crate it will also need a significant amount of time to exercise and play. Open the door to the crate and let your dog explore it. Toss in a treat or a favorite toy so he goes in to investigate. Feed your dog meals in the crate to further create a positive association. Pick a word such as “kennel,” toss a treat in and shut the door after the puppy enters. Now pass a treat through the gate and then let your puppy out. Repeat this several times, increasing the length of time your puppy is in the crate. Say “kennel,” wait for your puppy to enter and then shut the door and pass them a treat. Leave the room for one minute and then return to let the puppy out. Never make a big deal of crating your dog or letting him out. If you act as though it is nothing your dog will accept the idea much more quickly. Also, remember to not reward your dog as you let him or her out of the crate. Exiting the crate should be a non-event. Allow your dog to become used to the crate. Start with a couple of minutes and then increase the time from there. If your dog is barking, ignore him. Otherwise he will learn that barking results in your attention, which is what he wants. However, if he whines in the middle of the night, he may have to go outside. In this case take him out immediately and then put him back in the crate for the remainder of the night. The happier you are with the crate, the happier your dog will be. You will be amazed at how rapidly dogs come to like their new home. If you are having difficulty teaching your dog or puppy to accept its crate, please talk to us. There are many little tips and tricks that can help. Your puppy’s diet will have a large impact on housetraining. The quality of what goes in will greatly determine the quantity of what comes out. The frequency of feeding will also have an effect on how often your dog needs to eliminate. By feeding at set intervals you will make bowel movements much more predictable. I recommend you feed a puppy 3 times a day. Set the food down for 15 minutes and if the puppy walks away from anything that is left, pick it up and put it away until the next meal. Until such time that your dog has been housetrained (roughly 6 weeks without an accident), they should always be in a crate, on a leash attached to you, or under constant supervision. You must not take your eye off the puppy if you want to prevent accidents. This means that if a responsible adult is not devoting all of their attention to the puppy, then the puppy should be in its crate. It is essential that you minimize the number of accidents an animal has inside; your goal should be none. Every accident the puppy has provides positive reinforcement, in the form of relief, for eliminating inside. Positive reinforcement causes behaviors to be repeated, something we do not want in this circumstance. They finish a meal or snack. They come out of the crate, whether they have been sleeping or not. Immediately before and after play sessions. 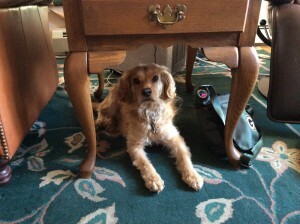 Any time the dog’s behavior suggests they may need to go out (circling, sniffing, walking away and sitting by a door). Put your dog on a leash, 6ft in length or less, so you have control over them outside. You need to stay out with them, so dress appropriately. Always go out the same door. This will help them to identify why they are going out. Go directly to the area in your yard you have selected as the bathroom area. This area should be fairly close to the door so you can get there in a hurry when necessary. Dogs tend to favor porous surfaces so they will generally prefer to eliminate on a grassy area. After your puppy defecates here the first time, leave some stool for the first few days to serve as a marker that this is the place to go. Remain standing in one place. When the dog starts to eliminate quietly say “good,” remain silent and allow them to finish. Give them a treat and lots of praise immediately after they have finished. This treat needs to be delivered within 1-2 seconds of the dog completing the behavior if it is to be associated with the behavior. If you wait to give the puppy the treat until after you get back inside, you are NOT rewarding for the bathroom behavior but for coming inside. This may create a puppy that is in a hurry to get inside and thus does not finish going to the bathroom outside but does so inside. After your puppy is finished eliminating, then it is time for play or a walk. After your dog is eliminating in the same spot you can start to add a verbal cue. When your dog starts to eliminate, repeat the word you want to use for elimination (“Do your business,” “Go potty,” etc.). Always use the same phrase as we eventually will use this to get our dog to eliminate on cue. Give your dog up to 10 minutes to eliminate. If a puppy, wait an additional 2 minutes after they have eliminated just in case they have not finished. If they eliminate again, reward them with another treat. If your dog does not eliminate after 10 minutes go directly back inside with no play, walk or treat. Remembering that you have a “loaded” puppy, either put them in their crate or keep them attached to you by a leash. If your puppy starts to whine in the crate or shows any pre-elimination behaviors immediately take him outside. Once your puppy is going reliably in his special place you should start training them to go on cue in other places. If you stay at Grandma’s be prepared for the possibility of an accident. You need to watch your puppy closely in new situations and may need to do some remedial training. No matter how good you and your puppy are, the odds are there will be some accidents in the house. If the puppy starts to eliminate inside, say “Out!” sharply. This should get their attention and cause them to momentarily stop. Quickly scoop them up or leash them and take them outside, following the steps above. If an accident occurs in the house and you did not actually catch the puppy at the instant it was eliminating, just quietly put him in the crate while you clean up the mess. If you punish the dog after the fact it will not understand why it is being punished. If you think your dog “looks guilty” and knows it has done something wrong, your dog is picking up on your negative body language. He senses you are upset but does not understand why. Be careful about reprimanding your puppy even if you catch them in the act. Rather than associating your punishment with going inside they may associate it with eliminating in front of you which can make housetraining even more difficult. When your dog has an accident inside it is imperative you clean it thoroughly. Any residual feces or urine may trigger the puppy to eliminate in that specific location again. We recommend that you use an enzymatic based cleaning product such as such as Urine Off or Nature’s Miracle. These products contain enzymes which break down the urine that “mark” a spot as an appropriate bathroom area. Many household cleaners only cover the smell left behind and do not breakdown the urine. Do NOT use ammonia-based cleaners, as to many dogs these may actually smell like urine. Taking your dog for a walk to eliminate may actually make housetraining more difficult. Most dogs enjoy walks and if they learn that the walk ends when they go to the bathroom (essentially punishing them), they may delay eliminating in order to extend the walk. It is easier to teach that eliminating quickly at home results in a fun walk. Training your dog to go inside on newspapers or pee pads will make the entire housetraining process more difficult and lengthy. Every time a dog goes inside on a newspaper or pee pad, he is learning and being positively reinforced for going inside. Training him to only go outside after this has been allowed is extremely challenging so avoid this if possible. That being said, at times you may find this necessary, particularly with the cold Maine winters and some smaller dog breeds that struggle to maintain warmth outdoors. If you do have to resort to inside toileting, just remember that you have added an extra step and will have to be patient when trying to retrain the puppy to urinate and defecate outside. Upon reaching sexual maturity, many male dogs and some female dogs exhibit marking behavior. They urinate on objects to leave their scent, thus staking out their territory. Remedial housetraining may be necessary in these cases. Early neutering of males, before this behavior develops, may help prevent this behavior from developing. Many veterinarians can neuter and spay puppies as young as 8 weeks of age. If an adult dog with a good record of housetraining suddenly starts having accidents, take them to your veterinarian. Urinary infections or cystitis can cause a dog to urinate inside. Internal parasites or other illnesses can cause diarrhea or increase the frequency of defecation.